Full Disclosure: I know Paul Doiron. He lives in the town near where my kids go to summer camp; we have mutual author friends; we've shared meals and we're doing several events together to promote his upcoming new release, TRESPASSER. Even Fuller Disclosure: I am, as we say in Maine, wicked jealous of him. His debut novel, THE POACHER'S SON, was given starred reviews by every magazine and newspaper around. It made booksellers get all starry-eyed and made readers gush. It's been nominated for the Edgar, Anthony, Barry, Thriller and Strand Critics Awards for Best First Novel. But that's not what gets me. It's his lead character, Mike Bowditch, a rookie game warden with a painful and dangerous relationship to his alcoholic, deer-jacking father. It's his ability to precisely evoke the real Maine, with it's mud-and-salt-spattered poverty and it's heart-stopping natural beauty. It's the moral ambiguity and the granite-hard realism undergirding his clever, twisty mysteries. And it's the breadth of scope he's given himself in his books, following his wardens – who are law enforcement agents charged with investigating crimes anywhere in their districts - from the mountains to the coast, from the deep western forests to the riverside mill towns. Dammit, why didn't I think of Maine game wardens first?!? Despite my seething envy, I've been recommending THE POACHER'S SON and TRESPASSER to everyone. And I've gotten Paul to take some time from his way-too-busy schedule in order to answer my questions. JULIA: Tell us a bit about your writing background. As Editor-in-chief of Downeast Magazine: The Magazine of Maine, do you have prior experience in writing fiction? PAUL: I'm tempted to crack a joke that all journalists have prior experience in writing fiction, but I fear I would be tried by the Star Chamber for heresy. I actually wrote my first "novel" when I was sixteen. It was a 30,000 word opus inspired by THE LORD OF THE RINGS and banged out on an electric typewriter my parents still have stashed in their attic. (God only knows what happened to the opus.) Like most aspiring novelists, I was told that I needed to find a real job. I did my best to resist that idea throughout my twenties, drifting through bookstore jobs and graduate school before I lodged in magazine publishing. In retrospect, I realize that I was less interested in writing than in presenting myself to the world (or rather, to women) as a writer. I had nothing to say, and it showed in the lousy short stories the New Yorker and Esquire wisely chose not to publish. During my thirties, however, I began to rediscover my boyhood interest in the Maine outdoors, and I decided that the time had come to write the book I had always wanted to read but could never find anywhere. After six drafts, that book became my first novel, THE POACHER'S SON. JULIA: Mike Bowditch, your terrific lead character, whom many have compared favorably to C.J. Box's iconic Joe Pickett, is a Maine game warden. Tell us a bit about the Warden Service. How does one go about becoming a warden? PAUL: Well, thank you for the comparison first of all. I have nothing but good things to say about C.J. Box as a writer and an all-around nice guy. In answer to the question, the Maine Warden Service is the law enforcement division of Maine's Department of Inland Fisheries & Wildlife. Most people, in my experience, don't understand what game wardens do. They're often confused with fire or park rangers, or with animal control agents who remove nuisance skunks from beneath your porch. In Maine, however, wardens have all the law enforcement powers and responsibilities as state police troopers, meaning they can arrest you for everything from speeding to criminal trespass to first-degree murder. They also have unusual duties of their own, ranging from enforcing snow-mobile and ATV laws to retrieving the bodies of drowning victims, finding lost children and Alzheimer patients, rescuing injured hikers—and catching poachers, of course. Wardens attend the same police academy as deputy sheriffs and troopers, plus the Advanced Warden Academy where they learn their arcane woodcraft. It's an intensely demanding, dangerous, and lonely job since most wardens patrol their districts alone and without back-up. JULIA: When is your next release, and what are you working on now? PAUL: My next novel, TRESPASSER, is the sequel to THE POACHER'S SON. It's coming out on June 21 from Minotaur Books. My contract is for three Mike Bowditch books, but I'm obviously hoping there will be many more. I'm finishing up the third novel at the moment. Without ruining TRESPASSER, I can say that my goal is to put Mike through hell. I'm really interested in the idea of how a young man becomes a hero, how he overcomes his mistakes and character flaws, and finds courage he doesn't know he possesses. Mike is 24 when we meet him in THE POACHER'S SON, 25 in TRESPASSER, and 26 in the third book. He matures a little each time we check in with him. Static characters who remain the same from book to book don't interest me much as a reader (with the important exceptions of Holmes and Watson). JULIA: I understand you are a Maine Guide. Guides are a bit of a legend in the Great North Woods. Can you tell us a bit about them, and how one becomes a Guide? And perhaps share an UN-guidelike moment in the woods? I am correct in understanding that Maine remains the most heavily forested state in the Lower 48? PAUL: You're right! Maine is the most heavily forested state south of the Canadian border. We have tracts of timberland that are larger than Connecticut and Rhode Island combined. Maine also has a tradition of requiring anyone who wishes to guide parties of people venturing into the outdoors—whether to fish, camp, hunt, canoe, or kayak—to obtain a professional license. To become a Registered Maine Guide you must log a certain number of hours in the woods or on the waters, pass an oral exam in front of practicing guides and retired game wardens, and then ace a written test in your subject areas. Mine are fishing and general recreation. I have definitely had my share of mishaps in the woods, everything from getting "turned around" overnight until I finally found my way out of the forest by starlight, to breaking two bones in my hand while fishing on a remote stream near Mount Katahdin. But every mistake I have made has taught me an important lesson about what not to do as a guide. JULIA: A couple of favorite classic movies? A couple of recent film favorites? PAUL: I love Humphrey Bogart, especially in THE TREASURE OF THE SIERRA MADRE, THE MALTESE FALCON, THE BIG SLEEP, and of course, CASABLANCA. He just seemed to embody that hard as nails, deeply wounded strain of American masculinity that is our literature's chief contribution to the crime fiction genre. One of my recent favorites is NO COUNTRY FOR OLD MEN which somehow managed to be both widely praised and widely misunderstood. 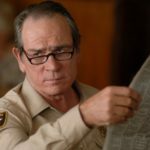 People who complain about the ending need to realize that the story belongs to Tommy Lee Jones's character. JULIA: Share with us one of your favorite book tour stories. PAUL: Game wardens can be intimidating guys. Some of them don't say a whole lot, especially to journalists. I did a ride-along with one warden with whom I spent the better part of a day on the ground and in the air (he showed me how to spot a marijuana patch in heavy woods from above). When I said goodbye to him, I didn't exactly feel like I'd made a boon companion. But months later I was doing a reading at a local bookstore and, as often happens, the owner brought a stack of books from people who couldn't attend but wanted an inscribed copy. One of these included a note from my taciturn warden, humbly asking for my autograph. Paul Doiron is a native of Maine. He graduated from Yale University with a degree in English, and holds an MFA in creative writing from Emerson College. Paul is a Registered Maine Guide and lives on a trout stream in coastal Maine with his wife, Kristen Lindquist.You can find his blog, excerpts from his novels, and information on his upcoming book tour on his website. You can also follow him on Twitter and friend him on Facebook. Oh boy Paul, if Julia is jealous, your books must be something! Can't wait to try these, as I'm a huge fan of CJ Box. And hey, we'll have to get you to the New England Crimebake next year! I was interested to read that you wrote a novel as a teen. My 17 year old granddaughter has written 3 novels among other things. I will share your story with her. And now to get your book. Thanks! Paul, your books sound fascinating (and of course a recommendation from Julia makes them a must-read!) I had no idea that Maine game wardens had such tough jobs. Good luck with the nominations and with the new book! Thank you to Julia and JRW! Roberta, I'll actually be doing a reading with C.J. Box in Blue Hill, Maine, in late August (we have the same agent), so for one night the tiny library there will be the epicenter of the game warden crime fiction sub-subgenre. Gayle, tell your granddaughter to keep writing—perseverance is everything. And Deborah, thank you for the kind wishes. I've been on a lucky streak. No doubt about it. And it's really true that being nominated for these prizes is honor enough (of course, I wouldn't mind winning just one).